Do you have worn problem areas, slippery hazards or dangerous steps? Our BOLD STEP® Aluminum Groove Stair Treads are the innovative, durable solution you’re looking for. 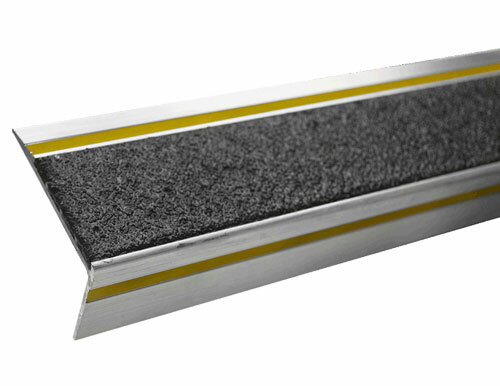 Our aluminum stair tread systems are a colorful and highly durable solution for high-traffic stairs and walkways. These uniquely engineered systems include an aluminum platform with an epoxy-based filler, assuring a long-life, slip-resistant surface. BOLD STEP® Aluminum Groove Stair Treads are designed with a 1/4″ reflective or glow stripe on the face and top of the stair tread. 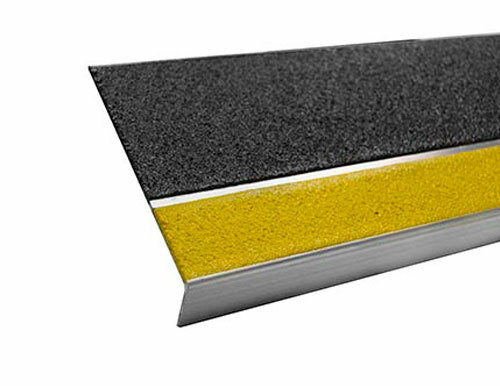 We have been manufacturing non-slip products for over 30 years. 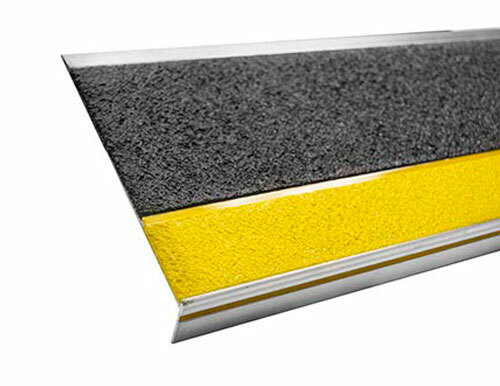 As an industry leader, we offer custom slip resistant products made to meet your specifications. Sure-Foot Industries your one-stop shop for all of your commercial safety flooring needs!